I spent yesterday working in Saint Mary’s Parish Centre in Killarney, Co Kerry, working at a communications training day for people in ministry in the Diocese of Limerick, Killaloe and Ardfert. 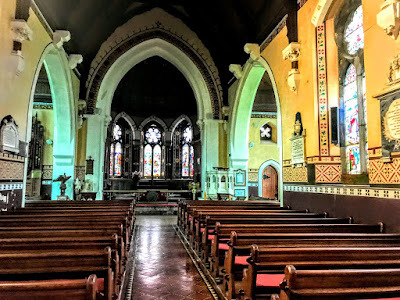 During the day, there was an opportunity for a brief visit to Saint Mary’s, a beautiful Gothic Revival style parish church in the heart of Killarney, serving a small congregation and the tourists who visit Killarney throughout the year. This church stands in the heart of Killarney, between the hotel sector and the shopping area. It can be found on Kenmare Place, at the bottom of Main Street, opposite the Town Hall and beside to the Plaza Hotel and the terminus of the jaunting cars. There is evidence from as early as the 1200s of a church in this place. The name of Killarney in Irish, Cill Airne, means ‘Church of the Sloes.’ This may suggest that an ancient church was built in this area and the presence of the blackthorn tree was significant to local people. An alternative spelling of the name may be derived from an obscure local saint. Killarney’s tourism history goes back at least to the mid-18th century, when the town was first laid out 270 years ago in 1747 by Sir Thomas Browne (1726-1795), 4th Viscount Kenmare, who had an inherited an estate of 120,000 acres. His developments began to attract visitors and new residents to the town. When Queen Victoria visited Killarney in 1861, she stayed at Muckross Housas a guest of the Herbert family. Her visit brought new attention to the attractions of the town and the Lakes of Killarney and her visit marks the beginning of modern and international tourism. Muckross House, with 65 rooms, was designed in the Tudor Gothic style by William Burn and was built in 1843 for Henry Arthur Herbert and extensive improvements were carried out in the 1850s in preparation for Queen Victoria’s visit. Saint Mary’s Church was designed by William Atkins (1811-1887) and built in 1870 on the site of previous churches. 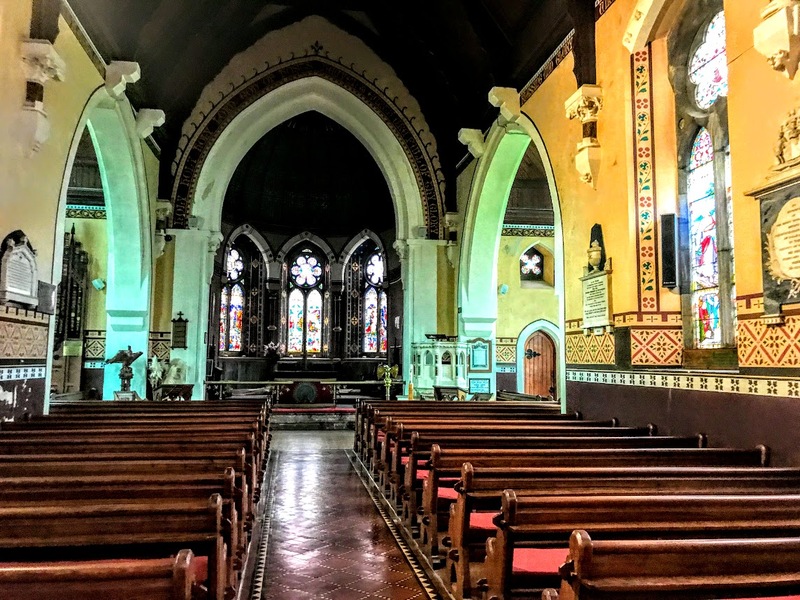 Atkins, who was born in Cork, built in a Gothic revival style, and his other works include the funerary chapel (1845) in Mount Jerome Cemetery, Dublin, said to be the first Pugin-style Gothic church in Dublin, and Saint Mary’s Priory, Cork, built in a Ruskin-influenced neo-Romanesque style. 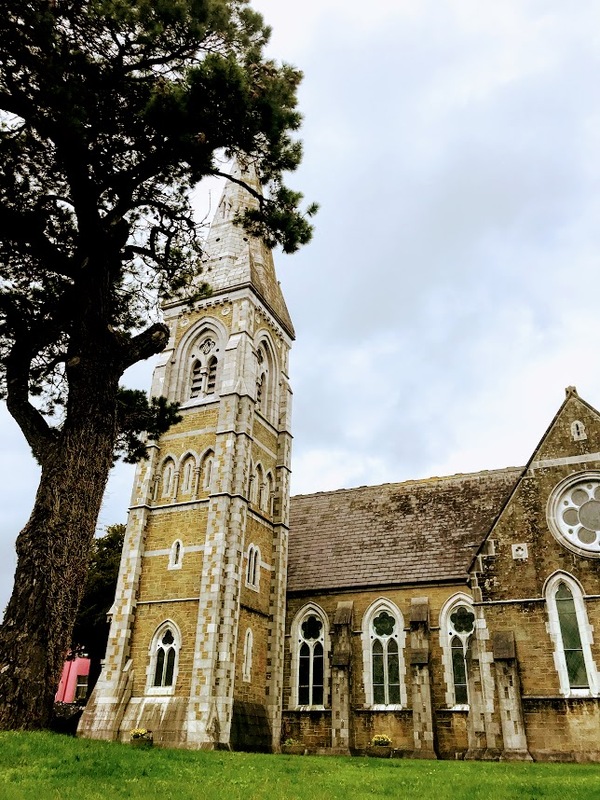 The church was burnt in 1889 and was extensively rebuilt around 1890, to the designs of the Kerry-born architect James Franklin Fuller (1835-1924). His works include the Superintendent’s Gate Lodge in Saint Stephen’s Green, Dublin, Saint Mary’s Church, Julianstown, Co Meath, the D’Olier Chambers or the Gallaher Building, a landmark building on the corner of D’Olier Street and Hawkins Street, Dublin, and Farmleigh House beside the Phoenix Park in Dublin. Some memorials in Saint Mary’s Church date to earlier churches on this site, and the church was enriched by gifts from the Herbert family of Muckross House. At the beginning of the 19th century, from 1809 to 1834, the Rector of Killarney was the Revd Arthur Hyde, grandfather of Dr Douglas Hyde, the first President of Ireland (1938-1945). 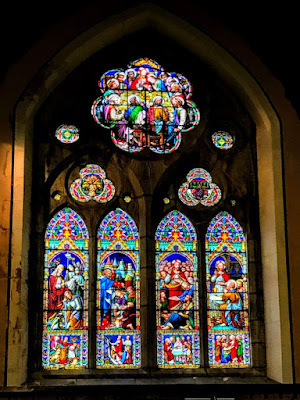 At the East End, the three double windows in the Chancel, with French Gothic Revival style tracery are dedicated to the Revd Edward Herbert, another 19th century Rector of Killarney, and to the Revd Richard Herbert, who was intimately involved in building the church. Many of the vibrant stained glass windows in the church are from the studio of William Wailes (1808-1881), who ran one of the largest and most prolific stained glass workshops in Victorian England. He had studied with Mayer of Munich and later worked closely with AWN Pugin. 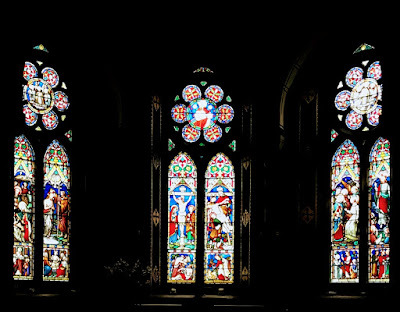 His famous works include the windows of Gloucester Cathedral, the East Window in Saint Editha’s Church, Tamworth, and the Transfiguration East Window in Saint Saviour’s Dominican Church in Limerick. 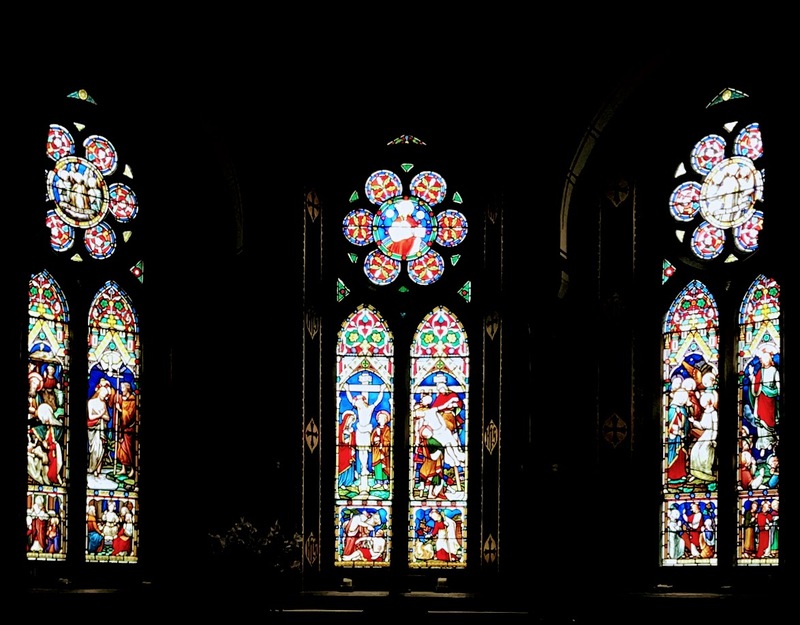 The great West Window depicts images relating to the Eucharist. 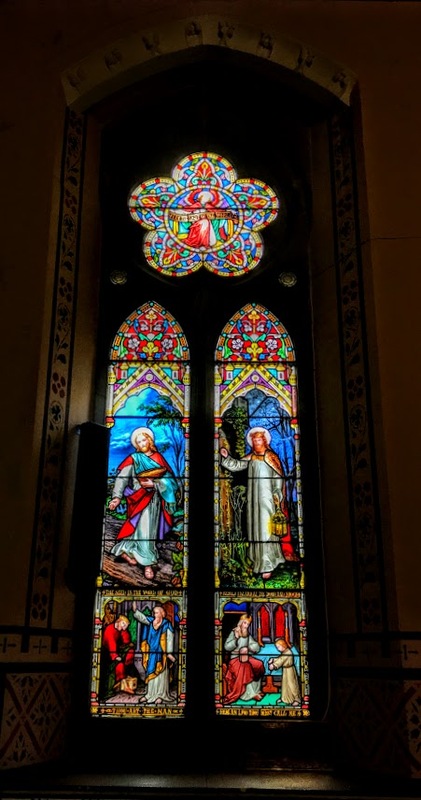 A notable and rare stained glass window on the south side includes a panel with the caption ‘Behold I stand at the door and knock.’ This is a copy of the painting ‘The Light of the World’ by William Holman Hunt’s (1827-1910). Another image in this window is said to be the likeness of Emily Long, the young woman commemorated in the window. She died in 1864 and was a sister of Henry Arthur Herbert MP, Queen Victoria’s host at Muckross House. 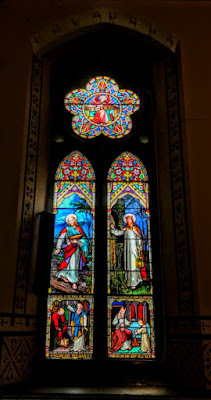 The window was commissioned by her sister Jane White, Countess of Bantry. Meanwhile, the cost of Queen Victoria’s visit had contributed to the financial difficulties of the Herbert family, and the Muckross estate became insolvent in 1897. The estate was bought in 1899 by Arthur Guinness, 1st Baron Ardilaun. In 1911, Muckross House and its demesne were sold to William Bowers Bourne, a wealthy Californian mining magnate. In 1932, the Bourns and their son-in-law, Arthur Vincent, presented Muckross House and 11,000 acres to the Irish nation, and it became Ireland’s first National Park. In later years, Killarney National Park was expanded by acquiring land from the former estate of the Earls of Kenmare. The present priest-in-charge of Saint Mary’s Church is the Ven Simon Lumby, Archdeacon of Limerick and Ardfert. The church offers occasional tours on Saturdays in the summer season.